The 40 days of Lent end with Holy Week, an emotional rollercoaster of Biblical events leading up to Good Friday and Easter. 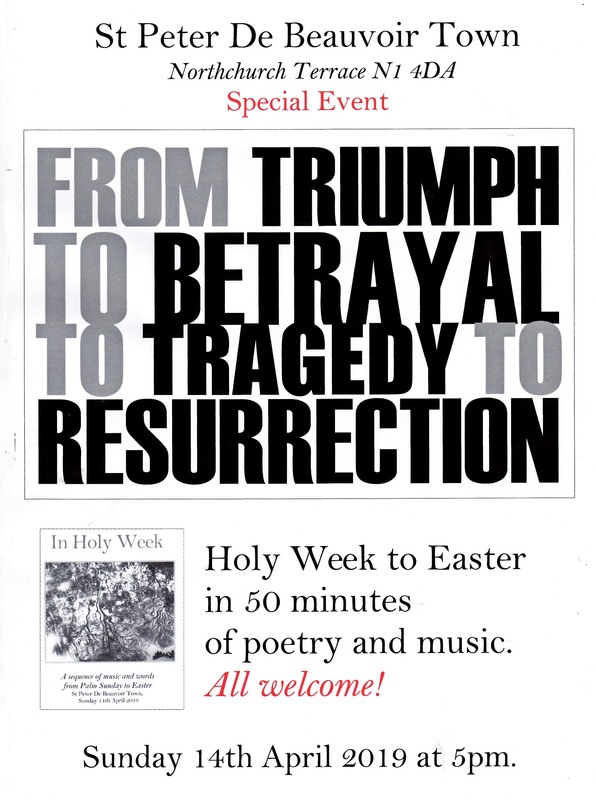 St Peter De Beauvoir is again marking Holy Week with a special event on Sunday 14th April at 5pm in the Church: 50 minutes of poetry and probably unfamiliar music illuminating this old and familiar story. 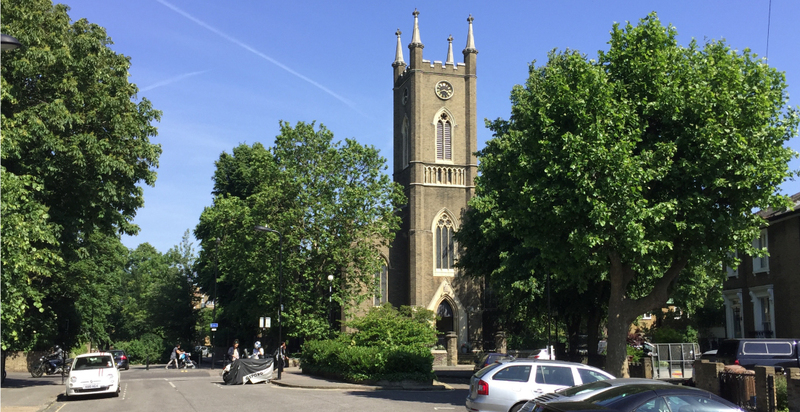 Everybody welcome, not just regular churchgoers.